I’ve been resting up for days for this posting. Channeling is still new for me and I feel a bit afraid opening myself up for this one big. 2012! Have we done our job I wonder manifesting a gentle 2012? I am nervous to open the channel. I don’t want to have let Ohom and his people down. Ohom, for any new readers is my higher ET self, a blue angel-like ET from the Orion’s belt star system. “Thank you, Ken Sheetz, for this opportunity to share my predictions for 2012 with your readers. I want to emphasize that my predictions are an energetic not to be taken literally, but spiritually. The work of gentle 2012 has been magnificent, keep it up, all of you people of the light, no matter how different from my 2012 predictions it may seem. All sorrow is an illusion. Stay joyous! January 1, 2012 – As the last of earth’s time zones shift into 2012 a ripple in the space-time continuum flutters through the hearts of every human being on your world. January 11, 2012 – The heart ripple, now 10 days old, breaks away the crust of the old programming around the hearts of humanity. Freedom after eons of enslavement sends billions to dance in the streets. February 10, 2012 – The heart ripple grows to a tsunami. People for first time are able think as one. Governments, banks and corporations collapse when people see such ill serving institutions are obsolete. March 21, 2012 – The dark ones threaten nuclear destruction if the people will not obey to the old. New humanity calls the bluff, but it was no bluff and a launch of h-bombs is made. But the human mind that now operates as one neutralizes the bombs midway and they fall to earth as rose petals. Triumph. Humanity is truly free. May 11, 2012 – Freed of its slavery to the old for nearly two months, humanity creates the first thought powered forms of teleportation. The first living being to teleport is kitten named Whiskers. Whiskers travel around the earth in just 24 minutes, making one stop in each teleportation station in each of earth’s time zones. 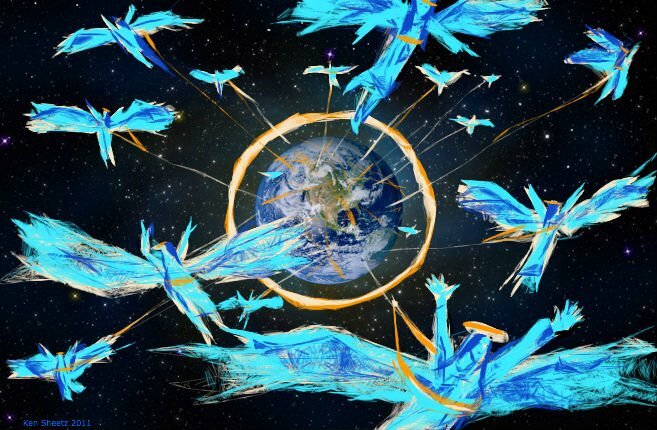 June 21, 2012 – Earth celebrates the summer solstice with freedom from oil addiction by manifesting of a fleet of clean solar energy cars for all. Oil wells are capped. Gaia rejoices. July 11. 2012 – Hunger and homelessness upon the earth is officially a thing of the fading past. All eat healthy, and fast food restaurants are converted to living museums. August 10, 2012 – The 2012 Presidential elections are officially called off as humanity no longer needs politics. Whiskers replaces Obama as America’s figure-head of state. September 21, 2012 – Love is recognized as earth’s official new currency. All the animals in every zoo are freed. The oceans and air are purified in a wave of purifying positive human thought. October 11, 2012 – Cancer officially becomes the last disease to fall under the power of earth’s shared positive consciousness. 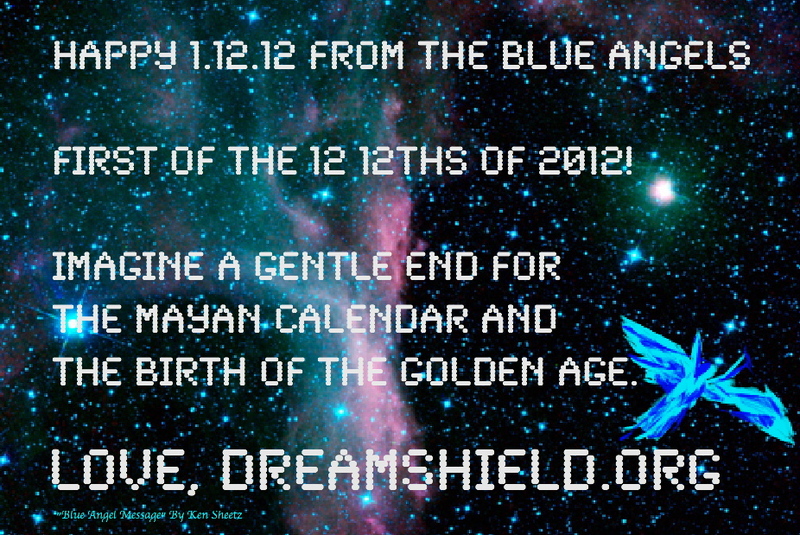 November 11, 2012 – Shared dreams replace TV and movie as the greatest form of entertainment on the planet. December 21, 2012 – Parties that have been going on for 10 days erupt into global shout of joy at the end of the Mayan calendar. December 22, 2012 – The spaceships of Orion hear the joyous shout of humanity and we arrive on the first day of your golden age. December 31, 2012 – One billion people teleport to my home world in the Orion belt for a cultural exchange. To humanity’s shock it is You who we are learning from. The people of earth are greatest manifestors in all the universe! All galactic society rejoices that you finally have stepped into your own power to co-create heaven on earth. Beneath the stands of an old football stadium, the power of the atom is unleashed. Yes, you are part of the light. Meditation is the way to clear the brush and let your full light shine. Namaste.